General Remarks: The Beam/Noe Family and more specifically Jacob Beam started making Bourbon in 1795. The Name Jim Beam was given to this Bourbon in Honor of James B. Beam who rebuilt the Distillery after the end of the Prohibition. Since 2011 the Brand is owned by Beam Inc., Chicago. Several founding-family successors are still active in the company. The most known products are of course the White and the Black Label. In 2009, the Distillery, located in Clermont, Frankfort, Kentucky, also started the production of Kentucky Straight Bourbon Whiskey (Basically Jim Beam White Label) infused with natural flavors under the name Red Stag. There are three varieties, Black Cherry, Honey Tea and Cinnamon Spiced. The producers are aiming at younger consumers who might otherwise not get in contact with Bourbon as they are used to drink cocktails or sweet liquors. 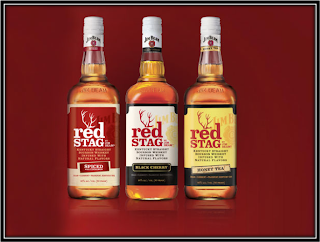 Red Stag sells for around US$ 22, - per 750 ml bottle. 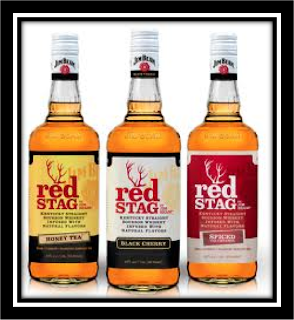 The name Red Stag refers to the majestic elks, led by proud Red Stags that roamed the Kentucky Mountains in the time J.Beam started producing Bourbon. Unfortunately they were hunted down to extinction but were re-introduced in 1997. Now large herds exist again, especially east of Montana. Nose: Very pleasant. The Sweet Corn, Oak, Vanilla and Cinnamon combine well with the Maraschino type Cherry flavor. Very fruity and not too Sweet. Hints of white Coconut meat. There is some slightly harsh Alcohol popping up from time to time. Still, this dram is very well balanced on the Nose. Taste: Very, Very Sweet. Spicy Vanilla (Cinnamon and Nutmeg) with warm Cherry topping. Sweet Grains, Oak and Honey. This tastes much more like Cherry Liquor than as Bourbon. Not as balanced as the Nose promises. This is too sweet to drink neat in my opinion. Finish: Quite Long. Sugared Cherries and Orange Peel, Cinnamon and Nutmeg. I added a few drops of water. Unfortunately, the Nose loses its balanced intensity. The Palate remains too Sweet and the Finish just waters down. Better Nose this one neat. Finally I threw in some ice cubes and that does the trick. It’s still very sweet of course but quite enjoyable although images of Cherry-flavoured cough syrup did pop up from time to time. Conclusion: Excellent well-balanced Nose. Too sweet to drink neat or even with a bit of water. More like a Cherry Liquor infused with Bourbon than the other way around. Better drink this on the Rocks or in Cocktails. Nose: Sweet Corn, Oak, Vanilla, Cinnamon, Light Honey and a touch of Cherries and Green Tea. Some Alcohol around. This still smells like a Jim Beam Bourbon with some flavors added. Not bad but not spectacular. I had expected a stronger presence of Honey on the Nose. Taste: Very Sweet. Syrupy. Sugar leading the way rather than Honey. Spices are there as well with Cinnamon in the forefront. Tea is more present now. Bit of Honey and Cherries. It does not taste like Bourbon anymore and it fails to impress me as a Honey-Tea-Bourbon Liquor. It’s a bit of a mess actually. Finish: Sugary Sweet with Cherries and Tea. I added a few drops of water but that just waters things down. In fact it enhances the Artificial character of some of the infused ingredients. The Nose gets a bit more Sweet Corn and Vanilla. On the Rocks it gets a bit better though not completely satisfying. Drinking Experience Neat: Below Expectations. Conclusion: The Nose is quite Jim Beam Bourbon with only a light presence of Honey. Not as well balanced as the Black Cherry Nose. The Palate and Finish fail to impress me. Again, I can’t find a good Balance. It might have its use as a basis for Cocktails but I’m not at all an expert in that field. So, to round it up, it’s drinkable but I don’t see me buying a full bottle of this. Nose: There are more wafts of Alcohol to deal with than in the other two Stags. This needs opening up. Quite strong Spices, slightly artificial Cinnamon, Oak and a bit of Mint as in a Mojito Cocktail. I get some Apple (Pie) as well and Cherry. The Nose is less Sweet than I would have expected. 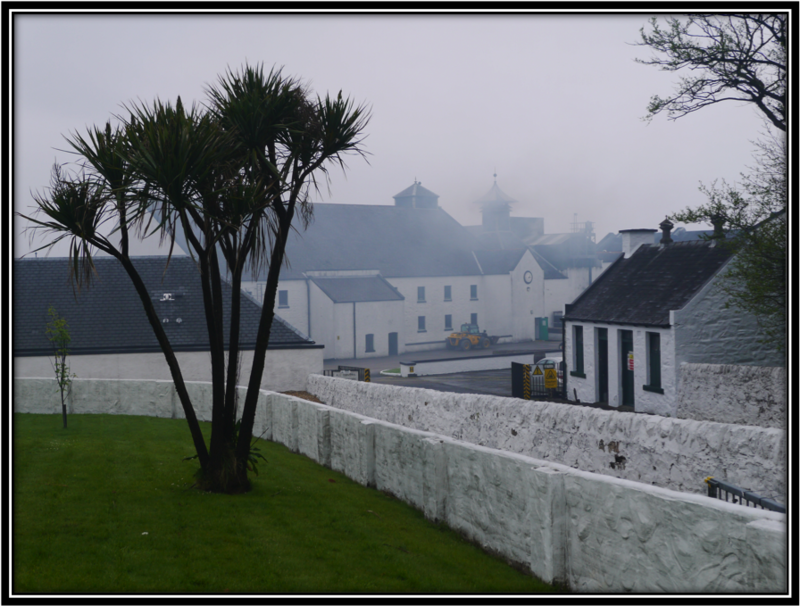 It stills smells like a Whisky but more like a young Grain Whisky than a Sweet Corn Bourbon. Taste: Very Sweet and Syrupy. Spice, Cinnamon and Cherry. Jim Beam White Label is still there in the background. 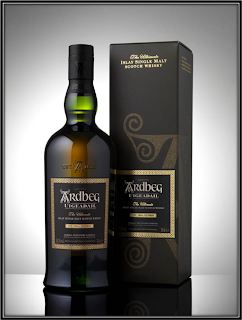 This dram can be savoured neat. On the Palate this is less complex than the Black Cherries but much better balanced than the Honey Tea. Finish: Warm Cinnamon and Cherry. I added a few drops of water. On the Nose, the Cinnamon and Cherry flavors are more dominant versus the Oak and Mint. On the Palate, the water tames the Hot Spices a bit but it kills the Finish. Still, it pays of to experiment a bit. Conclusion: Instinctively I would have thought that the Cinnamon Spiced Stag would be the best of the three as Cinnamon is a common flavor to be found in whiskies and Bourbons. 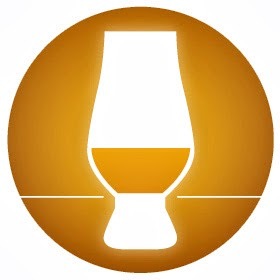 It certainly is the best balanced of the three and the best hybrid between a Bourbon and a Liquor. It’s also the only one of the three that can be savoured neat. But although it easily beats the Honey Tea and it’s probably the only one of the three I would drink on the Rocks from time to time, I found it less complex than the Black Cherries Stag, especially on the Nose. Final Conclusion: In the end the Black Cherry scored slightly higher than the Cinnamon Spiced because of its more complex features. The Cinnamon however will be the Crowd Pleaser in my opinion as it is very easy to sip, especially on the Rocks. It’s easy to get drunk on this stuff as you hardly sense the Alcohol. Beware of that! The Honey Tea scored clearly lower as it lacks balance and purpose. All three are better savoured on the Rocks or in your favourite Cocktails. I can also imagine sprinkling some Cinnamon or Cherries Red Stag over some Vanilla ice cream! 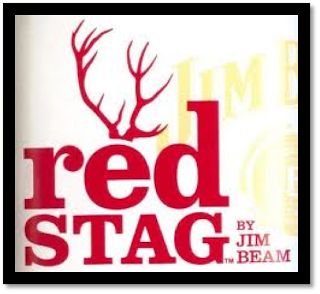 Jim Beam Red Stag is hardly comparable to Whiskey or Bourbon. Most of the time it smells and tastes as a Liquor infused with Bourbon rather than a Bourbon infused with flavors. But I think that’s exactly the point behind this product. Whiskey and Bourbon drinkers are not targeted here. It’s those large herds of guys and, especially, girls that can’t stand whiskey or Bourbon but love sweet stuff and Alcohol and will be slowly but surely drawn into the world of Whiskey and (Jim Beam) Bourbon. Just follow the Red Stag!